NK the Marketer: 5 Tools for Digital Marketing Research! 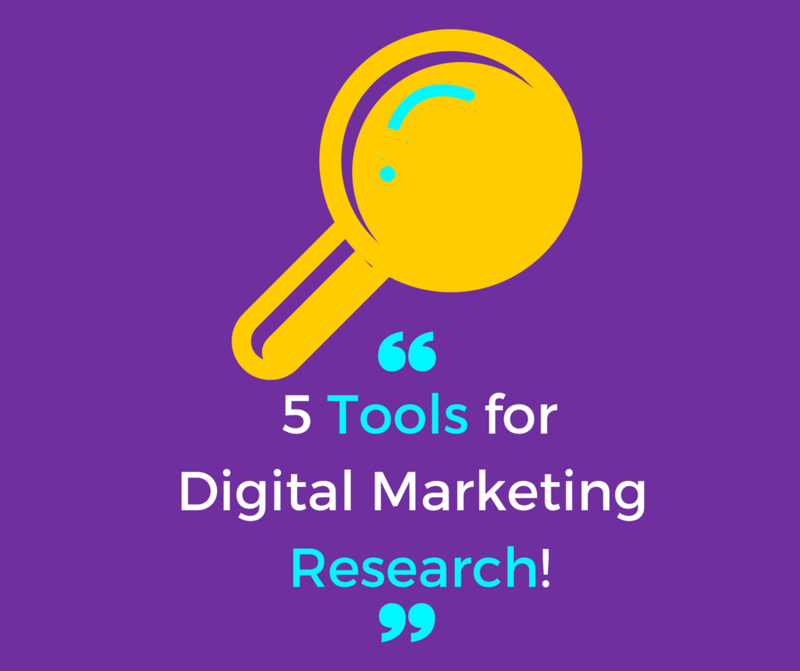 5 Tools for Digital Marketing Research! In the words of advertising pioneer David Ogilvy, founder of Ogilvy Group, "Advertising people who ignore research are as dangerous as generals who ignore decodes of enemy signals." Knowing and understanding your customers' and consumers' needs and wants, buying habits, how they research products and services, and competitors' actions, are key in providing the right products and services at the right time, in the right way. Now more than ever, it is easy to find a lot of this preliminary information online through tools like LinkedIn, Facebook, and BuiltWith. Most of this information can be attained for free, using various digital marketing tools. I have been fortunate to have mentor-bosses and course instructors teach me about some incredible tools and techniques that I am excited to share with you. Today, we will focus on five tools: LinkedIn, Facebook, SpyFu, BuiltWith and Website Grader. The professional network can be a great way to learn more about your current customers and consumers. On LinkedIn, many people fill out information bout their professional history, education, experience, interests, volunteering activities and more. You can look up individuals by their names, companies, job functions, and geographic location, and find years of experience and other features to build personas. Particularly B2B professionals can look up and connect with companies, find key decision makers, and nurture leads. If your company has a LinkedIn profile (Company Page), it can be used to learn about the general makeup of your current audience to find a suitable way to market to them. You can track follower demographics by seniority, industry, company size, and job function. If your company does not have a company page or group, it may be a good idea to think about setting one up, and begin building a presence and nurturing a community on the network. Facebook has many business tools. I'll be focusing on two in particular today, "Audience Insights" and "Pages to Watch". Audience Insights gives you the opportunity to gather and study information about various audience groups on Facebook. You can narrow your search down to a specific geographic area, specific job titles or roles, a specific industry, gender, age range, and more. Facebook then presents you with information including demographics, household information, purchasing trends, Facebook activity, likelihood to click ads, and Lifestyle breakdowns of demographics through Personicx. The Pages to Watch feature allows you to follow competitor Facebook pages, or pages you admire and want to emulate. You can compare total page likes, changes in likes from week to week, posts this week, and engagements this week. This information gives you concrete data to benchmark against. To use this feature you need at least 100 page likes and choose at least 5 Pages to Watch. SpyFu is a great tool to assess competitors' digital marketing efforts as well as your own. You enter a specific website address and SpyFu presents information about the website's SEO, Inbound Clicks from Google (Backlinks), Paid Search, Ranking and more. The site shows estimated budgets, keywords, and competitor listings as well. For SEO, SpyFu gives you the organic keywords your competitors rank for, monthly SEO clicks and an estimated monetary SEO click value. Backlinks are broken down into organic versus paid clicks. Paid Search data is primarily drawn from AdWords, shows your competitors' paid keywords, estimated monthly PPC clicks, and an estimated monthly AdWords budget. You can access information about your competitors' top paid and organic competitors, their negative keywords, and their most used keywords. This tool provides you an in-depth view of what competitors are doing for some ideas and direction on what your company can be doing. BuiltWith is a website that allows you to check competitor websites or sites you admire to see which platforms, tools, and plug-ins are used to sharpen your competitive edge. You get a full technology profile including Web Servers, Hosting Providers, Email Services, Content Management Systems, and Analytics and Tracking. BuiltWith can be used for free. You can create a free account for trend history and detailed data. The paid account also provides you access to more features, but you can acquire pretty detailed information and data with the free account. You can also use BuiltWith to track your own website if you no longer work with your web or blog designer and need to find the systems you have used in the past to recover or replace them. The Website Grader, powered by HubSpot, is a free tool that scores your website or blog against key metrics such as SEO, performance, mobile, and security. For SEO, the grader looks at page titles, meta descriptions, headings, and sitemaps. Performance looks at page size, page requests, and page speed to offer tips on areas to improve and optimize your website's performance. Mobile looks at your website's responsiveness to different devices, and viewports, how your page scales to the different devices. Security looks at your SSL certificate. This tool allows you to assess your website, which is typically a company's most important marketing hub, to ensure that is fully optimized and ranking high during searches. This article is not an all-encompassing list of the tools you can use for digital marketing research. Rather the aim is to give a rough idea of some of the deeper uses of the platforms regularly employed for a competitive edge in business. Many tools are free or low cost, so have a go. What tools do you use for your digital marketing research? Please share your "live by" tools in the comments below. Hootsuite Knows Social Media so Well!